Key Difference: Poem is a literary creation made from arrangements of words forming rhythmical lines whereas Sonnet is a specific kind of poem having 14 lines and a strict rhyming scheme. Poetry is a word of Greek origin meaning “to make, to create”. A poem can be described as “something made or created”. A poem is a rhythmical composition that is written or spoken for communicating beautiful, imaginative or elevated thoughts; they are used in the same context. Poem as a work of poetry comes out as a literary creation made from arrangements of words forming rhythmical lines. Poem can be also be described as a composition written in metrical feet and contain meaning and musical elements. Poems can be found in these three main genres of poetry: lyric, narrative, and dramatic. Poems are literary work of distinctive style and rhythm and are used to express feelings and ideas. Poetry in English and other modern European languages often uses rhyme. Sonnets On the other hand is a strict poetic form that gained popularity during Shakespeare’s lifetime. 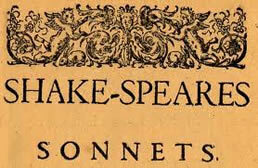 Sonnet originated in Italy.The term sonnet derives from the Italian word sonetto and means "little song". A sonnet comprise of 14 rhyming lines of same length. The rhyme scheme of sonnet generally follows patterns like Italian sonnet, English sonnet and Spenserian sonnet. In Italian sonnet a group of eight lines, rhymed abbaabba is followed by a group of six lines with various rhymes. In English sonnet three groups of four lines with cross-rhyme pattern (abab, cdcd, efef) are followed by a final couplet (rhymed gg). Modern sonnet has evolved by “loosening” some of the requirements of the traditional sonnet. The differences can be summarized as- A poem can have varied themes or rhyme scheme whereas a sonnet is having set rules to be considered it as a sonnet. Thus all sonnets are poems but all poems are not sonnets. Poems can be about anything but sonnets basically depict the relation between two different things in order to send some message about them.